Take a peek behind the scenes of the Happening Spa Happy Hour at Zanya Salon Spa. Happening Insiders were treated to a night of pampering, beauty tips, and cocktails! Every attendee received an eyebrow consultation and left with perfectly shaped arches. They also learned how to pamper their skin, nabbed some ideas for summer hairstyles, got makeup tips from the pros. The night would not have been complete without a bag full of spa swag. Guests were guided through everything that Zanya Spa Salon has to offer, from touring the facility to engaging in experience stations for many of the salon and spa services available. Experiences included one-on-one brow consults, hair consults, reiki, makeup, facial, blow-dry, and summer style. 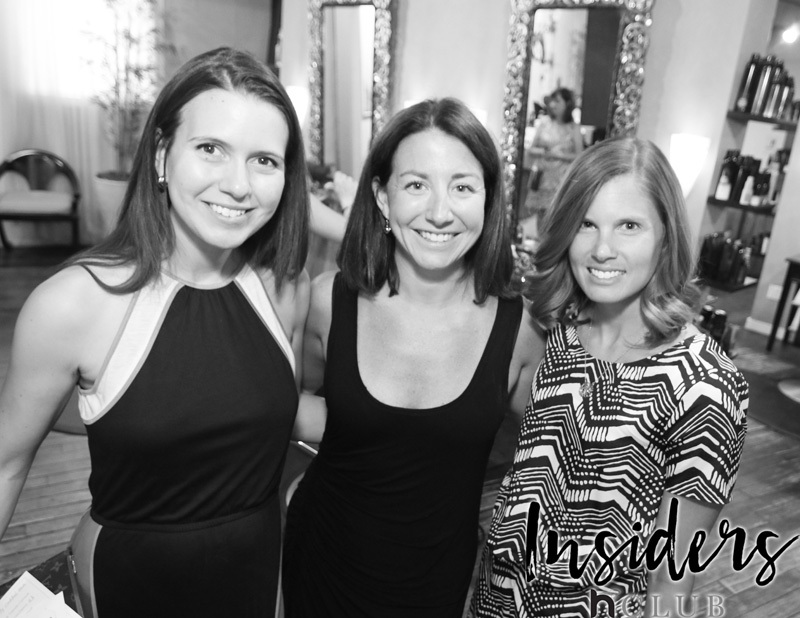 The riverside Lambertville setting was perfect for a warm night out with the girls. Keep watching for the next opportunity to be an Insider. Every room is decorated for utmost comfort with chaise seating and beautiful Moroccan lanterns, which provide calming light. The food provided by 15 Landsdowne brought the house down. The candied bacon and Tuscan chicken Satay were a huge hit, but the showstopper was the fresh chips and gorgonzola dip. This paved the way to a sweet finish, mini key lime pies.Chef Mia Emerson is the 2018 Hunterdon Happening List Winner in the categories of Chef and Catering. This was in addition to champagne, which flowed all night long. Champagne was provided, in part, by our sponsors at Korbel. Practically the entire staff of Zanya Spa Salon participated in Spa Happy Hour. Guests were able to consult with some of the best in the industry on every beauty and wellness facet.